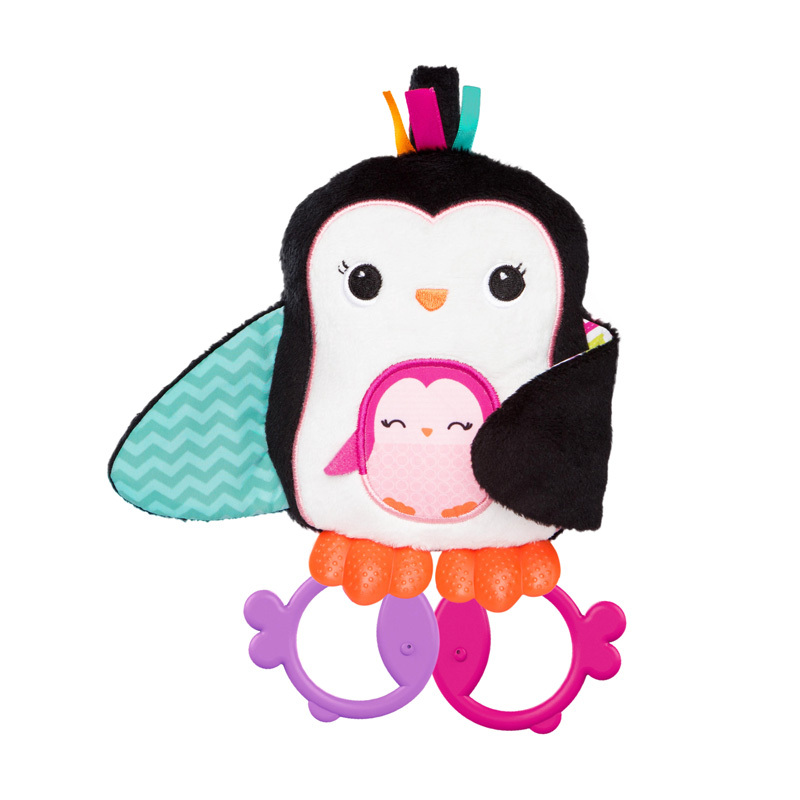 Fun Comes First!™ Who doesn’t dream of having their own cute, cuddly penguin to hold? 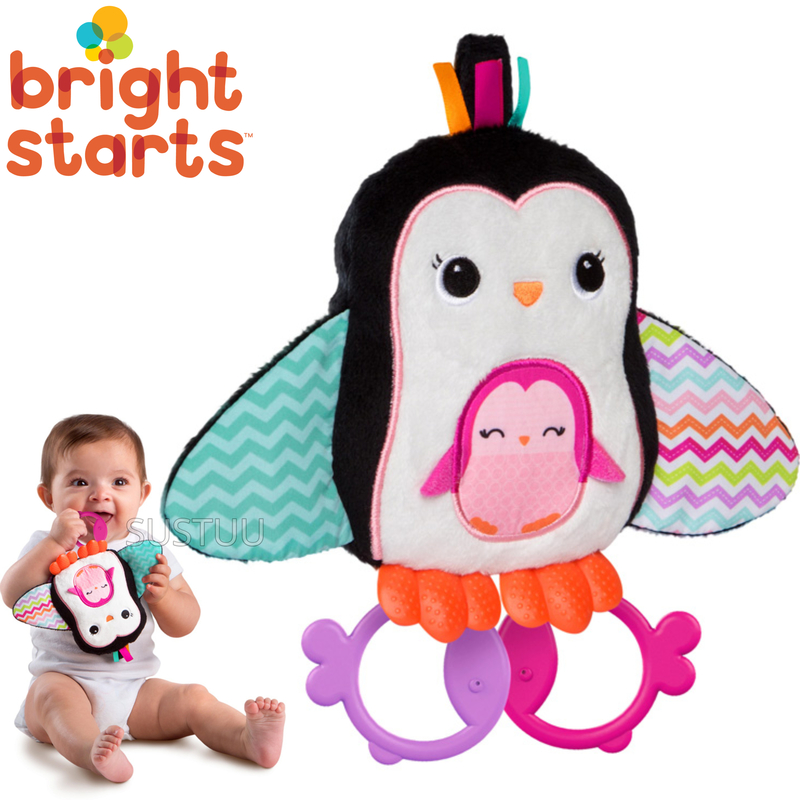 This plush penguin pal from Bright Starts is the ultimate security object for your new baby, with textures, sounds, and teething surfaces to explore. 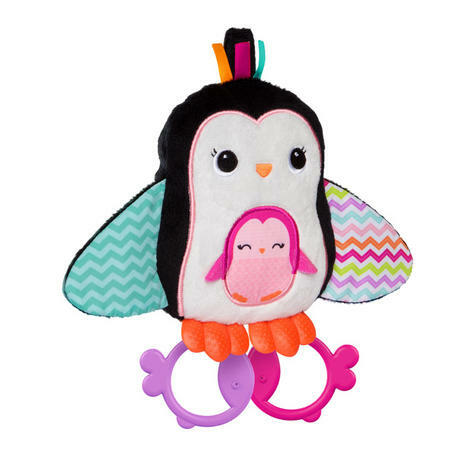 This cuddle penguin offers crinkle textured-wings, colorful ribbons for tactile interest, textured teethers and fun squeaking noises! Part of the Bright Starts Pretty in Pink Collection, where a portion of every purchase goes towards breast cancer research and awareness.